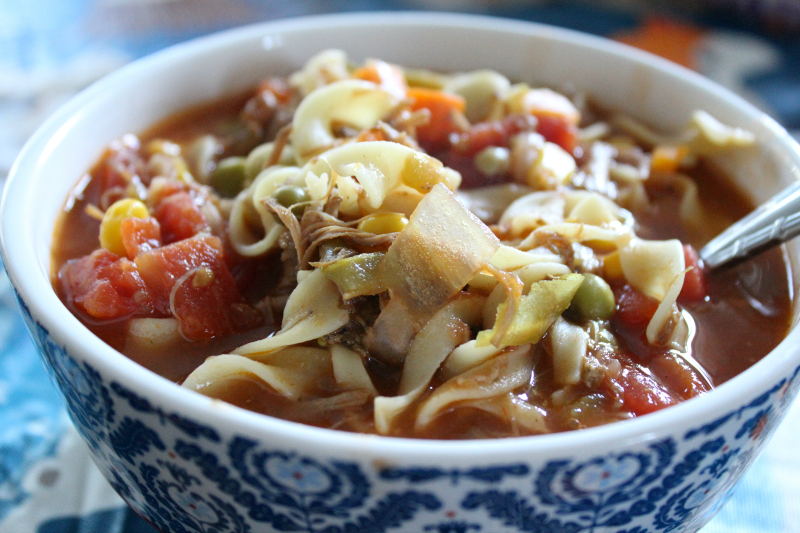 One of my favorite things to do with leftovers, especially during the chillier months, is make soup! We always have leftover veggies and some kind of meat in the fridge. 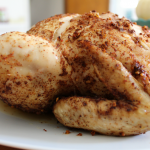 With a few pantry staples, this is super easy! I always make sure we have things like diced tomatoes, chicken broth, canned vegetables, and No Yolks noodles. 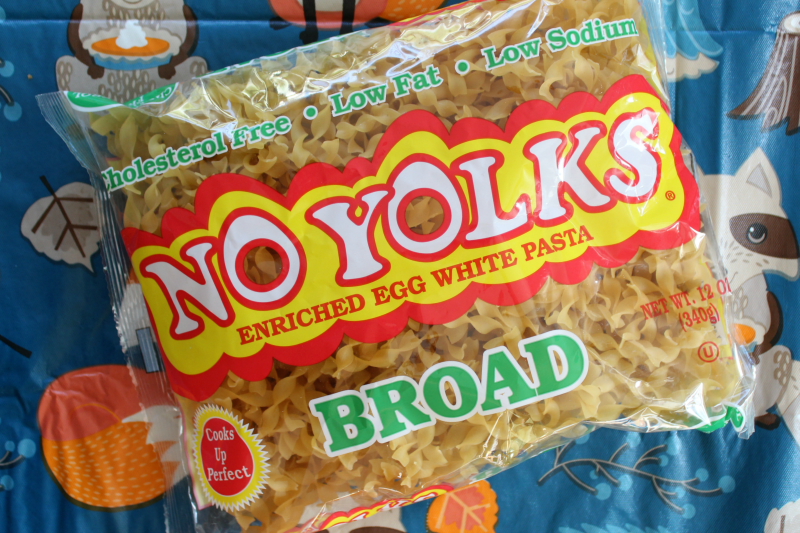 If you’re not familiar with No Yolks noodles, they’re a healthy egg noodle alternative, made from egg whites! They have no cholesterol, and are low in fat and sodium. No Yolks are high quality noodles that always cook up smooth, firm and fluffy and stay that way in all your favorite recipes! And No Yolks come in a variety of cuts for all types of recipes. We usually opt for Broad or Extra Broad, but there is also Fine, Kluski, Dumplings, and now Stir-Fry! I love being able to use our leftovers to create another meal for the family. 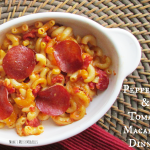 Less waste and an easy dinner is always a plus! 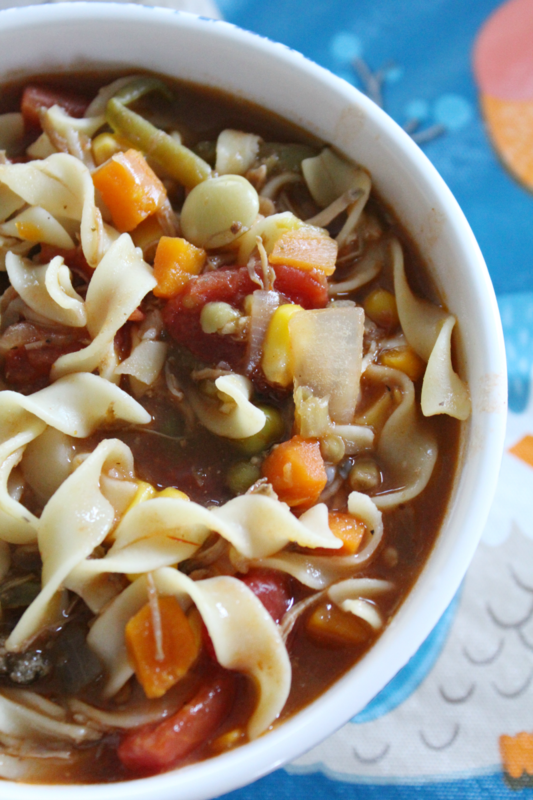 The boys love anything with noodles, so tossing them in a soup is a win for mom! For the soup we had this week, I used Pork Carnitas leftovers, leftover corn, a bag of frozen mixed veggies, a can of diced tomatoes, some diced onion, a small can of diced green chiles, and a couple of cups of water. 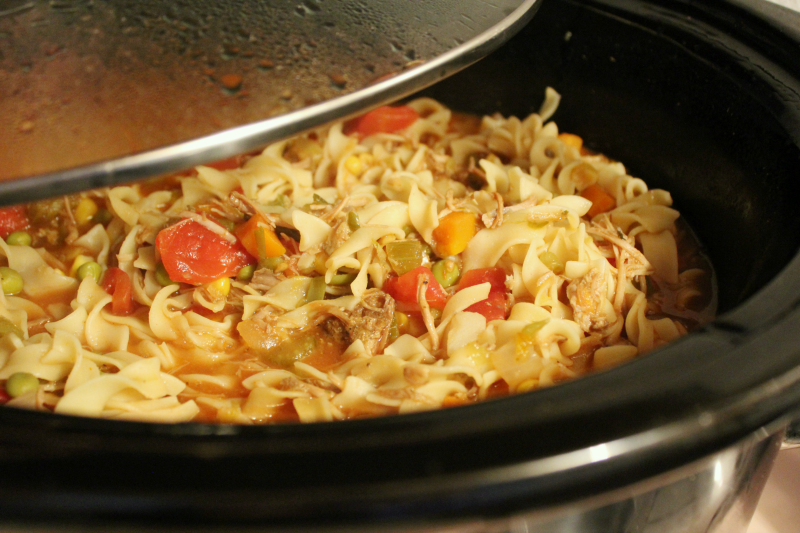 I use my slow cooker for soups because I can just toss everything in and just go about my day. I do about 7 hours on low or 3 on high. 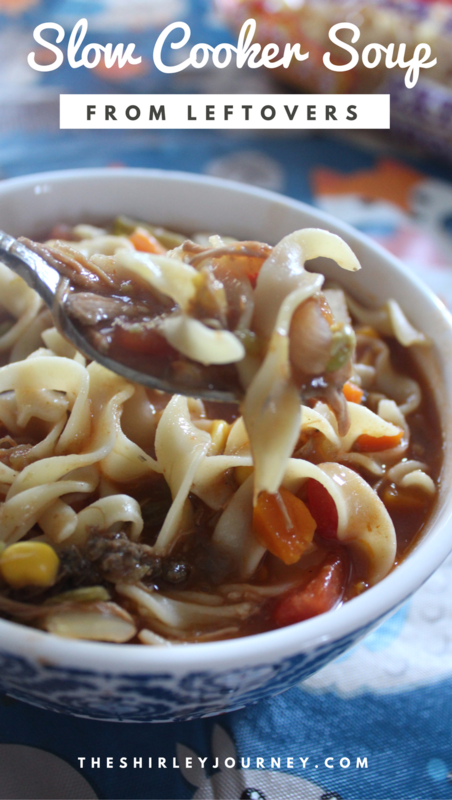 To finish up the soup, I add my No Yolks noodles to the slow cooker and stir about 30 minutes before the time is up. 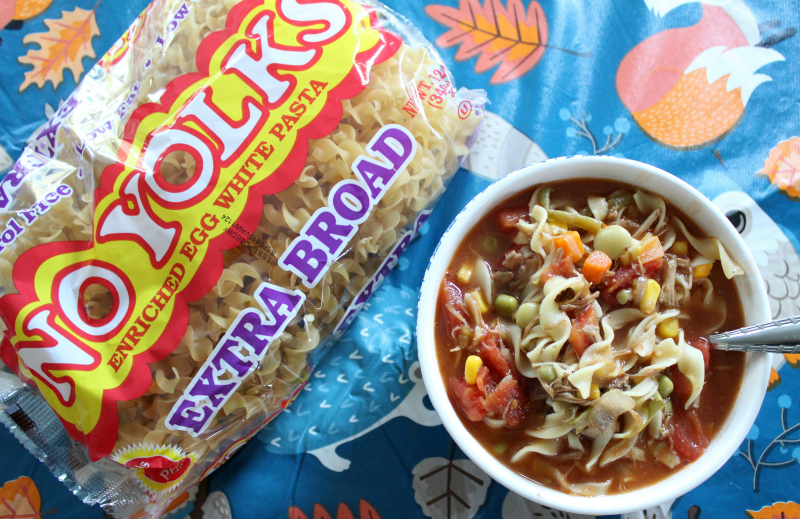 When you pick up No Yolks noodles at your favorite store, make sure you use this coupon to save $0.50! 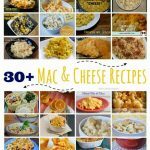 Oh, and you should definitely enter this giveaway for your chance at a $100 gift card! Make sure you enter today because the contest ends Nov 15, 2017! I-C will randomly select 5 winners from all program entries and will facilitate fulfillment of the winning prizes. 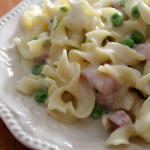 Stay tuned for a yummy recipe using No Yolks noodles! 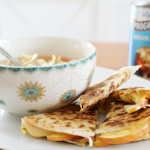 They’re not just for stroganoff and casseroles!